My longstanding interest in using prompts for teaching also includes my approach to working in my own studio. 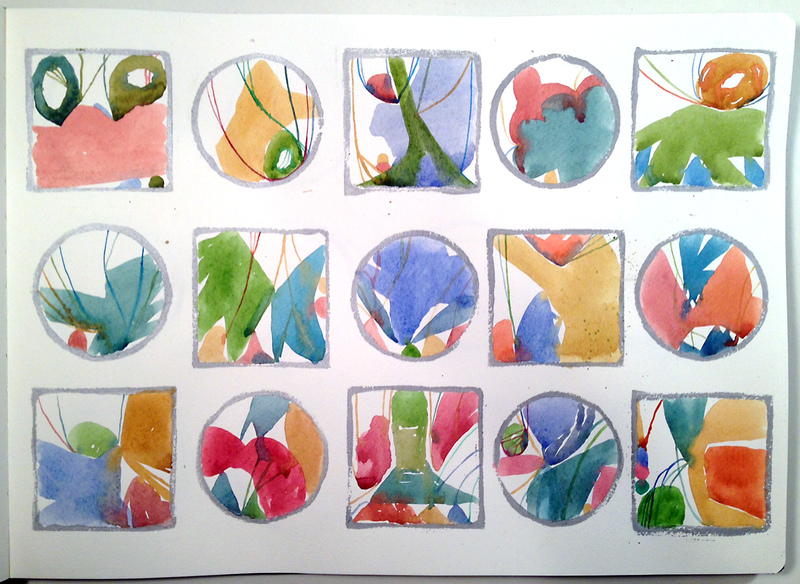 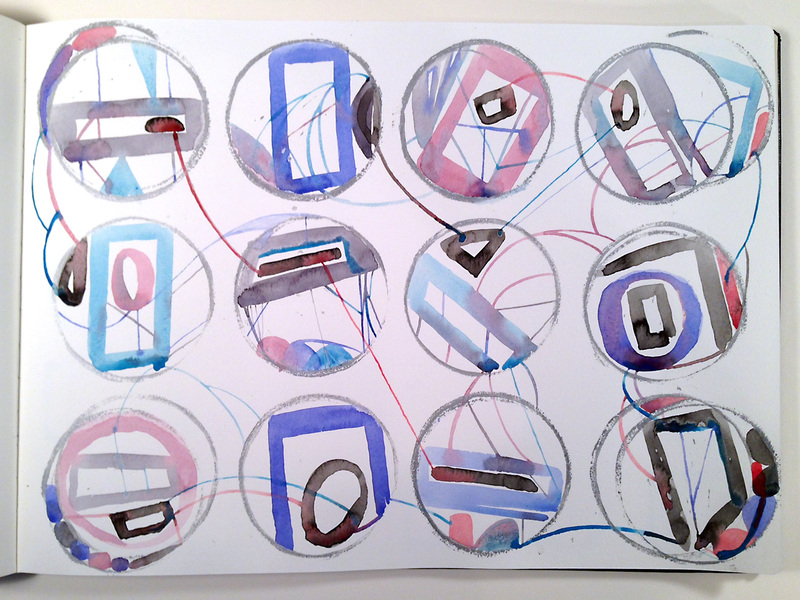 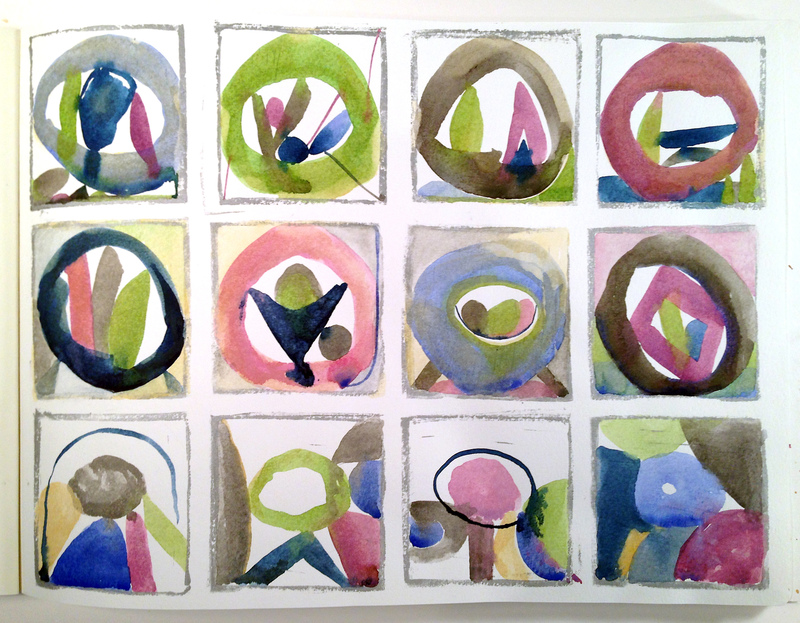 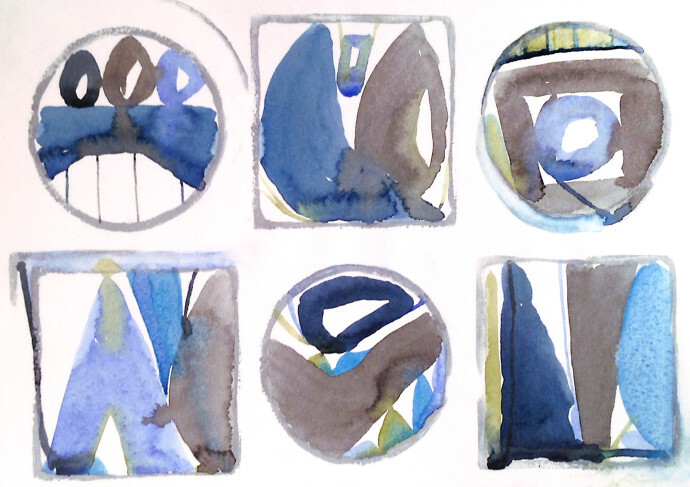 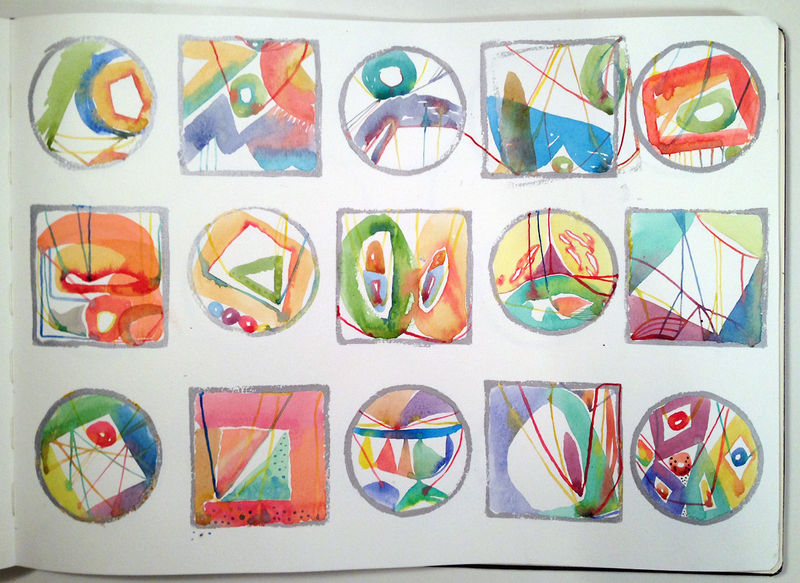 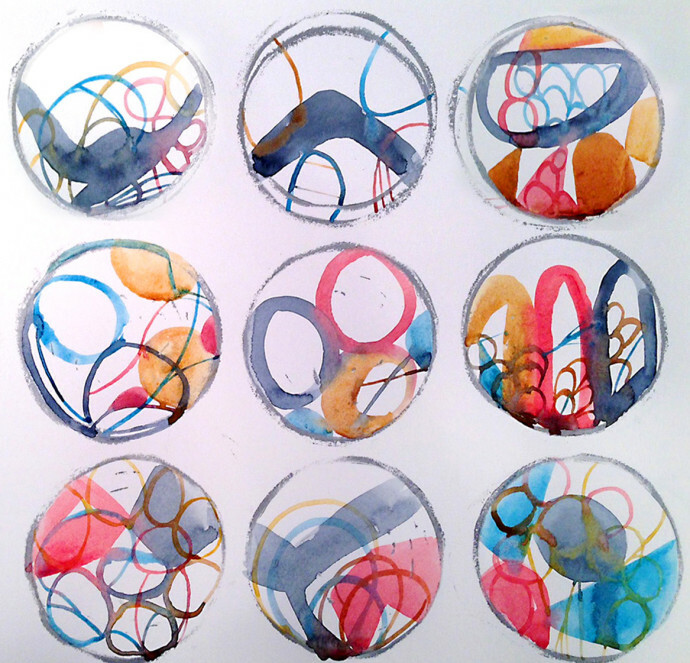 Here are just a few of the daily paintings I create in large moleskine watercolor books. 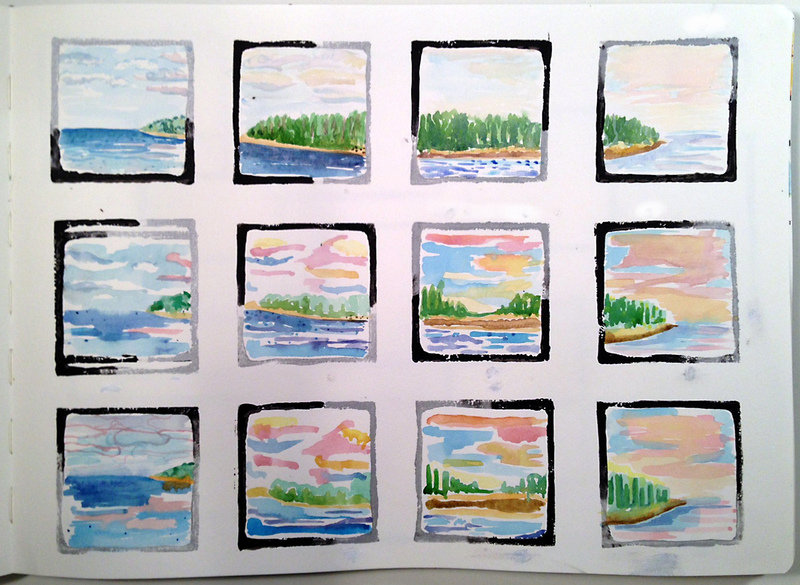 I block-print my pages (creating a printed prompt) and then paint with watercolors. 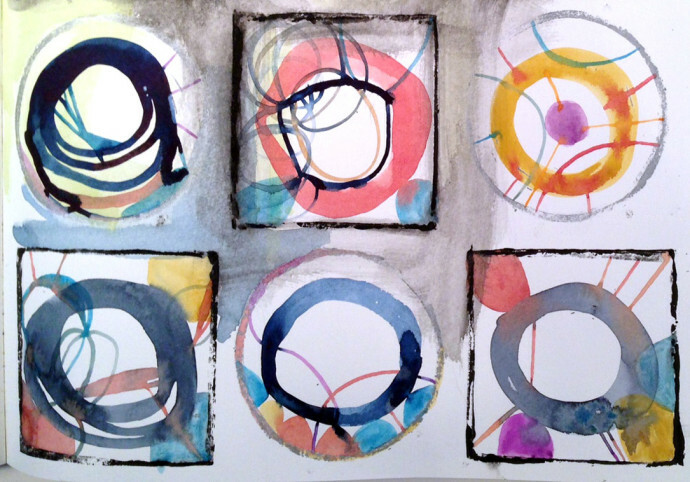 I’m most interested in painting in a state of complete responsiveness, so that the flow of the paint–the merging and bleeding of colors & shapes, and the evolution of layers–is the guide. 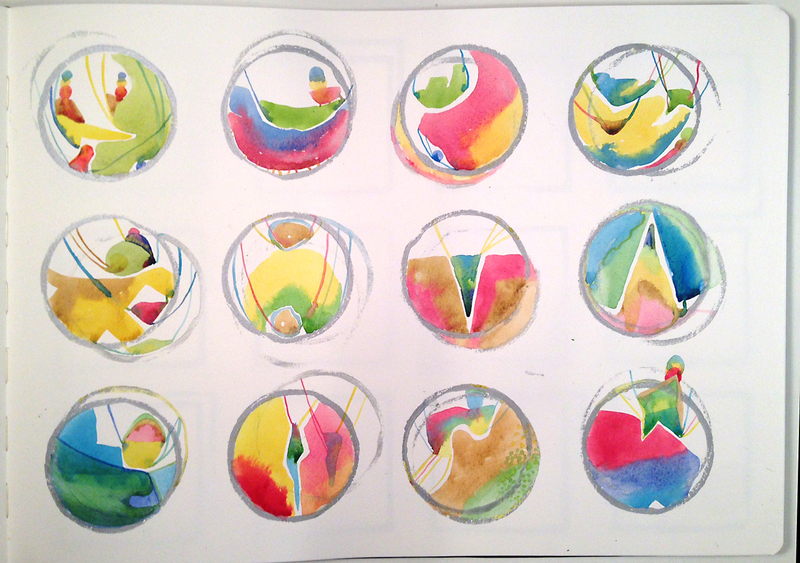 See many more pages HERE.